I was at the playground this morning with my boy. I came back totally amazed by how little some parents speak to their kids. For the whole 15 minutes I was nearby, one dad did not say one single world to his child (who fell over, climbed and played in the sand). The child was a similar age to mine (18-months old at the time) and dad followed him around the playground the whole time. I know dads tend to speak less than mums. But still. I am not passing judgement, it is merely an observation. There was also a grandfather there with his grandson. They spoke. A lot. The grandfather was putting him back in the pushchair and explaining to him everything that they were now going to do. Research has shown that the amount parents (and other caregivers) speak impacts their children's language. In a fascinating study where researchers recorded toddlers for 10-hour stretches in their home environment, there were huge differences found in the amount of child-directed speech heard by the toddlers. Background discussions, TV, etc were separated. Researchers focused on the language children heard that was directed at them. "There were surprisingly large differences between families in the amount of child-directed speech toddlers heard from adults over the course of a 10-hour day. 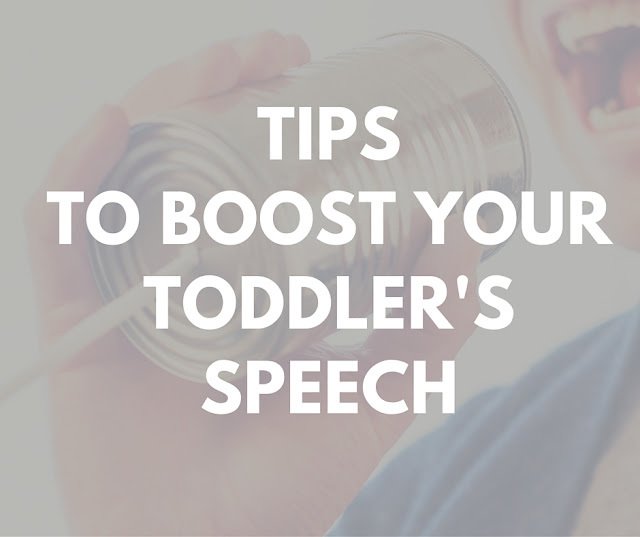 One toddler heard more than 12,000 words of child-directed speech, while another heard only 670 words during the entire day. "That's just 67 words per hour, less speech than you'd hear in a 30-second commercial," Fernald said." They found that the children with the larger vocabulary (who could say the most words) by 24 months were the children who had heard the most child-directed speech at 19 months old. 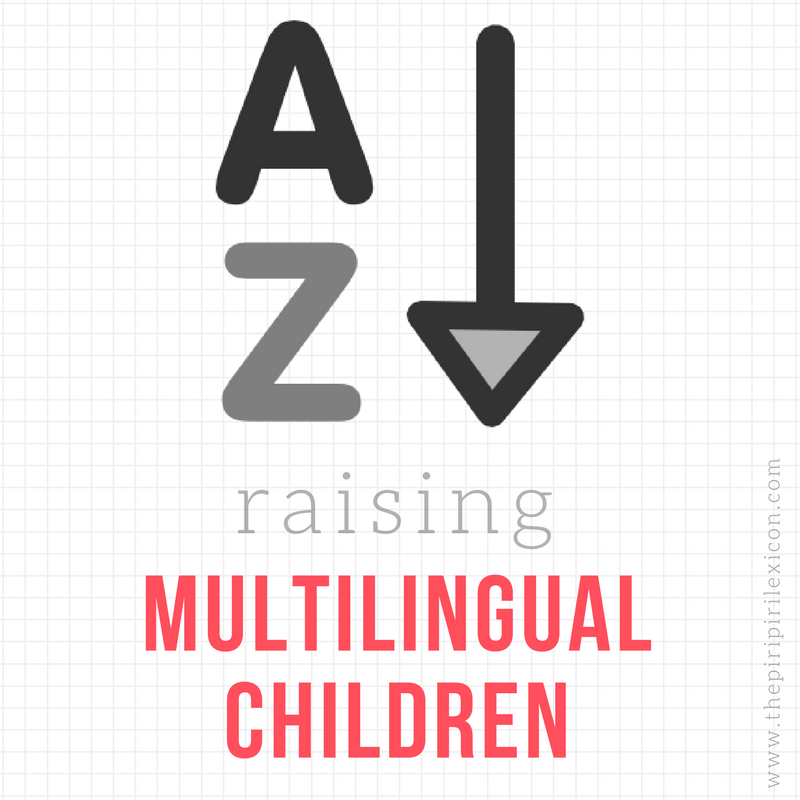 Of course, this is even more important for children growing up in multilingual families, like mine, as the amount of language they hear is naturally less than that of a monolingual. As input is divided by 2, 3 or more, that smaller amount of time your child is exposed to language matters ever more. So many parents on forums worry that their children (especially bilingual children) have not spoken yet or are not yet talking much. Most of the replies are along the lines of: "don't worry, mine didn't say anything at that age either", I think we should add: "SPEAK to your child". And don't just speak at them but speak to them. Don't just bark orders or commands, engage them. I am not saying that speaking to your children will solve everything as language acquisition is a very complex issue affected by many physiological, psychological and environmental factors but it will definitely help. If you are at all worried, consult a specialist. Here are a few simple little things you can do to increase the amount of language your child hears and, in turn, help them learn. Talk, talk, talk. Explain where you are, what you are doing, where you are going, what you can see. No small detail is futile. Describe life as a toddler may see it. Describe what toddlers are interested in. "Oh a dog. Look at the dog. Isn't he cute? It is a small dog. It is a black dog. Have you seen it?" Just like that you have provided them with the word "dog" 4 times in about a second or two. My own toddler is currently trying to count. So when we take the tram, I tell him what number we are taking, in how many minutes it is arriving, etc. He doesn't understand the concept of minutes very well nor does he understand that trams have numbers and why these matter but he hears the same words again and again. My girl used to love that. She has a great imagination and loves books. We would see something or someone in the street and I would imagine a little story around the object or the person. It doesn't need to be anything fancy or complicated. "Look a lady with a basket. Maybe she is going to the market. Maybe she is going to buy bananas like we just did. Do you think she likes bananas?" You can do the same with their toys, a piece of clothing, a broom, anything. Even if they cannot reply yet, ask the questions. Put plenty of intonation into it so they understand it is a question, a response is required. Give them a few seconds and answer yourself if they don't reply. You are giving them the chance to think about it and formulate the answer, think of the words they know and can use. If you never ask questions (fun questions, not telling-off kind of questions) they will never get a chance to tell you things. "Have you seen the plane in the sky? Isn't it going really fast? What sound do planes make? Do you remember when we went on the plane?" Talking and speaking is not just about giving orders or telling them off. Make speaking fun and positive. Tell them about happy things. Don't just use language as a tool to discipline. Talking should also be about cuddles and kisses and bonding not just shouting. 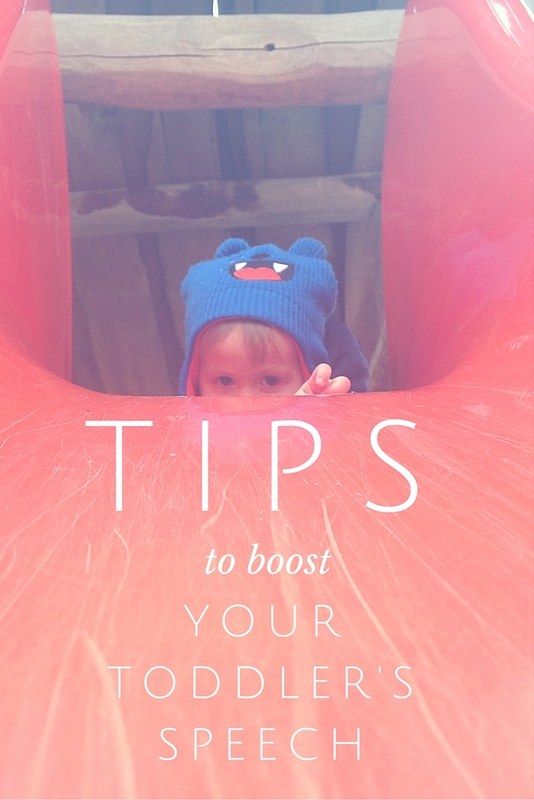 Give your child plenty of positive reinforcement too. Whenever they say even the slightest little thing, confirm it, repeat it, add to it. For example, if they say dog, reply by saying: "yes, it is a dog. It is a brown dog. It is a big dog. Can you see more dogs?". Give credit where it is due. Talking in baby talk "look at the moo" will not work. It is a cow. Let's call it that. The whole world calls it that. Why would you call it a moo? Sure the cow does moo but it is not its name. Children understand a lot more than we think from a very early stage. There is no point in dumbing down the conversations. Use simple but real language. It has been shown that non-verbal communication also matters hugely to children's understanding. Think about you learning a second language. Is it not helpful to see people gesture at the same time as they talk? So point, shake, wave, dance, do whatever is needed to help them learn those early words and beyond. Make a fool of yourself. Who cares?! Finally, give them a chance to reply and speak. I know plenty of people who never give their child a chance to respond. They have given them the answer or done it for them. Stop. Listen. They will tell you amazing things. Advice from the National Literacy Trust here goes in the same direction. These little leaflets are fantastic and available in more than 15 languages. So next time, your child falls over, please do not just pick them up. Talk to them. Great tips and concrete instructions on how to carry them out! I always wonder if people think I'm crazy because even if just my baby is with me, I talk to her about what we're going to buy or what should we fix for dinner, etc. I never considered #3 though...I'm not a big story teller myself but I can see how this would be a great thing to encourage language/conversation. I'll have to stretch myself in that area and try it out. Great post! It's really amazing how toddler will soak up the information that we give them. I have a little nephew who can't speak much yet, but he knows a lot. He already knows most colors, body parts, and things around the house. It is important to give our children the tools to be successful in life and this post includes many of those tools. Great tips! I use some of these with my toddler. Very condescending and rude to assume parents that have a child with a speech delay are not speaking to their child, and are only talking at them. What? Where did I say that? I think you are putting words into my mouth. I am saying too many parents don't engage their children they use speech for commands, telling off, directions, etc. they forget about engagement. This is a great article. At first the title made me think I was going to read about improving my child's actual speech as in clarity. So the title threw me off. I'm an educator. So what you said here is totally what I told parents to do. It is amazing how many parents don't talk, engage, and read stories to their kids. I followed this rule with my child.... and always looking for tips from speech therapist to help her be more understood by others. Or more advice and tips to share with parents of children with delays. Other than that this is a good article as I do run into and know far too many who don't talk to their child enough. Great tips! i have found that when I'm on my phone, I'm not speaking to my children as much. Another reason to put it down and engage. Thanks for the reminder! I started doing this since day 1.. I never comment on internet posts but this one is upsetting and I have to agree with Marisa! "So many parents on forums worry that their children have not spoken yet or are not yet talking much. Instead of answering: "don't worry, mine didn't say anything at that age either", I think the answer should be: "SPEAK to your child". And don't just speak at them but speak to them. Don't just bark orders or commands, engage them." Perhaps these parents already do that and the child is still behind. It might not have been your intention, but this certainly does, to me, have an element of pointing blame at the parents, which is not fair at all. This is exactly why the next paragraph matters: "I am not saying that speaking to your children will solve everything as language acquisition is a very complex issue affected by many physiological, psychological and environmental factors but it will definitely help. If you are at all worried, consult a specialist." I am a Speech Language Pathologist...and I loved your suggestions :) But I do agree that maybe you could rename the article "Tips to Boost your Toddler's Speech and Language" since most of your article focuses on language development techniques. As a speech pathologist I agree with all the tips with the exception of "ask questions even if they cannot reply yet." Instead ask questions that can reply to. Give choices that they can respond to by showing/pointing/gesturing for example "Do you want an apple or an orange?" I don't see the purpose of asking something they can't respond to. I meant that even if they are babies who cannot talk yet, questions are great. Different intonation patterns, pretending you are having a little conversation with them is good. They can babble back.